"I’ve used the example in the past, but look at what National Geographic did. They started out as a sleepy old magazine company owned by a not-for-profit organization. They are now a channel. You can go on trips with them around the world. They have stores. They have games for schools. They have educational materials. They have super-served their consumers in a way that their brand allows it to be served. All magazine publishers should be thinking that way." -- Time Inc. chairman and CEO Joe Ripp, from an interview with WWD. They asked him who he thought was doing the transition to digital well. Water Canada magazine built its reputation with its audience by creating an annual Waters Next awards and showcase for the water community -- people and companies working to expand and improve water and wastewater management. It's a good example of making your magazine indispensable to specialist readers who may also be entrants and expert judges. From some 90 submissions, 8 awards were made recently in Vancouver in conjunction with the Canadian Water Summit, produced by Actual Media, publishers of Water Canada and ReNew Canada magazines. "Our business has always been a fickle one. New management comes in and often wants to bring in their own team members. It can be shocking, particularly if you are being let go just after having completed a successful and lucrative project, or at the end of a record-breaking year. The key is to leave with grace, to remember one's strengths, and to be honest in future interviews about what happened. The reality is that work life under that new management would probably be pretty miserable, so best to move on and see what door opens. It's a great time to make sure that the next step really counts, and to decide whether to continue on the corporate track or start that dream business." -- Rebecca Darwin, president and CEO of The Allée Group, which owns Garden & Gun magazine, which she started in 2007. She was interviewed by Fast Company and was recalling lessons she learned before G&G, including how to make a classy exit. There's always something new, or odd, or wonderful in the magazine business, never more so than Colour Calm, the bimonthly colouring magazine for grownups. Its intention, says British publisher Future plc, is to promote relaxation and creativity. The first issue of the magazine has 116 pages and 56 patterns of intricate designs that should satisfy even the most inveterate o-filler and doodler. It's produced on high quality paper that stands up to felt pens or pencil crayons. 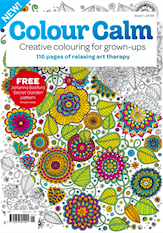 At just £4.99, Colour Calm offers the ultimate collection of relaxing art therapy for creative colourers, says Future. Matthew Pierce, Head of Content for Future plc's Creative Group, said: "Colour Calm is the perfect way to unwind, relax, and be creative at the same time. It's the ultimate digital detox: keep calm and colour in!" In addition, senior marketing director communications and events Tracy Finkelstein, and senior marketing specialist Erin Quinn were let go. Ray Oster was laid off from the digital team as were Melissa Morra, digital product director Andrea Kolber, digital project manager Krystal Wong, and Scott Carefoot, product manager of The Hockey News. Transcontinental Media sold 15 consumer magazines and related websites in eastern Canada to the TVA Group and in late May sold its Western Magazine Group (Vancouver Magazine and Western Living) to Yellow Pages. *TVA Group made no secret that it was going to focus the brands it acquired in the digital area. Readers who are used to picking up their Metro freepaper in Toronto Transit Commission stations will be finding 24 Hrs in its place, starting next month. According to a Globe and Mail story, Postmedia outbid Torstar for the three-year contract to stock 24 Hrs in Gateway Newsstands at more than 90 TTC and GO Transit stations. 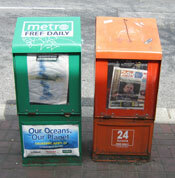 Metro, whose daily circulation has been about 500,000 copies will still be available in boxes outside of the stations. 24 Hrs says it expects its 245,000 circ boosted by up to 35,000 by the preferred placement. Postmedia acquired 24 Hrs as part of a deal in April by which it took over Sun Media Corp.'s English language publications. Metro English Canada had for many years had right on first refusal on the distribution contract. This year it was outbid by Postmedia when Gateway Newsstands issued a request for proposals. The announced sale of Martha Stewart Living Omnimedia for $353 million to a retail licensing company marks the dwindling end of a 25-year magazine publishing saga. Sequential Brands Group paid about 18% of what the company was worth when MSLO went public only 15 years ago. The transaction includes two magazines; the iconic flagship Martha Stewart Living, the foundation of the whole enterprise, and Martha Stewart Weddings, plus a number of branded home and lifestyle products, associated websites and various television extensions. The reasons for the sale are congruent with the problems that many large lifestyle and shelter publishers are facing. MSLO had been trying to morph from a publisher into a merchandising company, which (along with its knock-down price) probably made it attractive to the buyer. Declining publishing revenue in the first quarter of 2015 fell to $5.7 million from $19.5 million in the same quarter of 2014. The company had offloaded all of its publishing business operations to Meredith Corporation (Better Homes & Gardens etc.) last October, meaning that it handles all circulation marketing, single copy sales and ad sales (digital and print). Meredith has a deal that stretches out 10 years, during which MSLO is to continue to produce content. It's not clear what the new ownership will mean to Martha Stewart's role as chief creative officer or to the Meredith deal. The trajectory of Martha Stewart Living has been an interesting, if jagged, one. She first developed it for Time Publishing Ventures in 1990 and its soaring popularity, upwards of 2 million circulation by 2002, gave her a platform from which to launch a television career and a robust online presence as well as moving into merchandising deals. In 1997, she and a minority partner, Sharon Patrick, consolidated all the print, merchandising and television into MLSO, promising synergies and opportunities for line extensions, such as an online catalogue business, even selling flowers to consumers. Her dream and vision caught investor's attention when, in 1999 the company went public, making Martha Stewart a billionaire. She was lauded, and appropriately, for having built an empire from scratch, an empire for which she, her image, her style, her flair were the most important products. That was the top of the curve, at least as far as publishing goes. 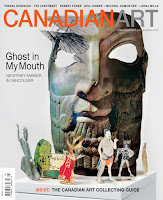 Canadian Art's Summer 2015 issue contains, for the first time, a 35-page Collecting Guide. The new issue, now on newsstands, was launched officially Thursday night at the Olga Korper Gallery. Editor Richard Rhodes and associate editor David Balzer reported on the Venice Biennale. 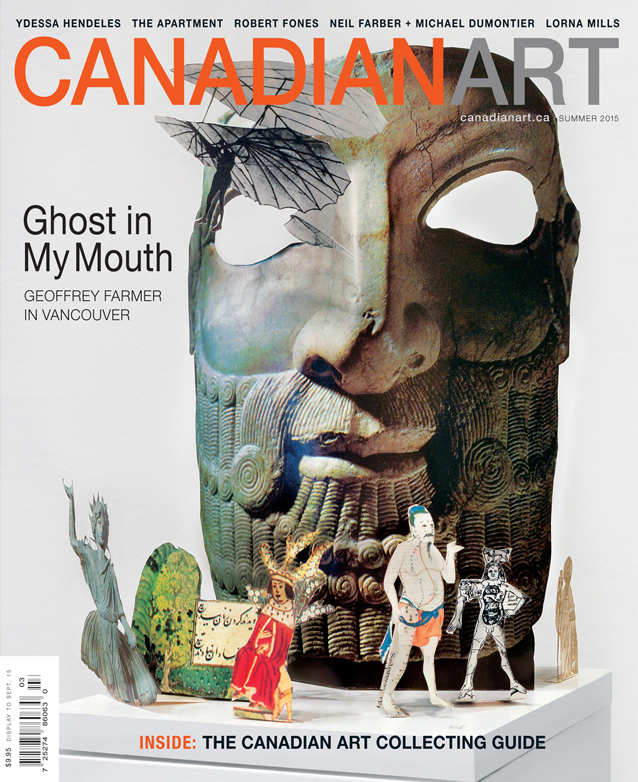 The issue contains a feature story about Canadian Art Writing Prize winner Amy Luo’s interview with Vancouver artist Geoffrey Farmer, who is currently presenting a mid-career survey at the Vancouver Art Gallery. Québec Franchise is celebrating 20 years of publication. The 3-times annual magazine has been a reference for those who wish to go into business (franchise) or be self-employed (microfranchise). Its magazine and web editions has adapted itself to not only the evolving franchise and business opportunities market but also to the changing needs of prospective entrepreneurs. A major new study by Reuters (summarized by a story in the Columbia Journalism Review), on the state of digital news says that the growing use of ad blockers threatens not only legacy publications (in other words, print) but also the disruptors (in other words, things such as Buzzfeed and Huffington Post). Just 11% of US consumers are paying for online news and this hasn't increased since 2013. The report says that 47% of US internet users now use ad-blocking software, which is free and easily installed. And 55% of the valued 18-24 demographic do so. And the situation is only going to get more dire as ad blocking is coming soon to the mobile web. “A small number of loyal readers have been persuaded to pay for brands they like,” the report says, “but it is proving hard to convert casual readers” when there is so much else available for free, even if the quality isn’t as good as the paid-for stuff. Most of those not paying in the United States said they never would or that they could be persuaded for less than $1 per month, which is a lot less than they probably pay for coffee. Readers are also not fooled by, or impressed by, so-called "native advertising" or "sponsored content", which they find intrusive and annoying. "More than 40 percent of US news consumers say they “have felt disappointed or deceived after reading an article they later found had been sponsored,” the study says." It seems that readers are making their own rules and their preferences and behaviour will not have evaded notice of the advertisers and agencies; as the story says, if advertisers know people aren’t even seeing their ads, whether on desktops or mobile devices, in apps or elsewhere, why would they continue spending billions of dollars a year to place them? It's a real poser for publishers. Lianne George has been promoted to editor-in-chief of Chatelaine magazine. Since 2014, when The Grid closed, George has served as editorial director of Rogers Media's flagship women's title. She replaces Karine Ewart who had been in the chair about 17 months; Rogers's announcement made no mention of Ewart's departure. Ewart moved over from Today's Parent in January 2014 to replace Jane Francisco after she was scooped to become editor-in-chief of Hearst's Good Housekeeping. George first joined Rogers in 2004 as associate editor at Maclean's, and was promoted to senior editor a year later. In 2009, she was appointed deputy editor of Canadian Business. In 2010, she left Rogers to help launch Torstar's Toronto weekly, The Grid, where she helped build the publication into an award-winning multiplatform brand – first as deputy editor, then as editor. "I've been a Chatelaine reader for as long as I can remember," she said in a company release. "No other publication has such a rich tradition of chronicling the lives of Canadian women – their families, careers, challenges, and of course, the eternal question of what's for dinner.The opportunity to help reimagine Chatelaine across multiple platforms for a new generation of readers is a great honour." A Toronto branding agency called Goods & Services has launched a magazine called Sway: A Journal of Branding. It says it is designed for “people who build and guide companies, collaborate on marketing teams, manage brands at agencies, or who just want to find out more about branding.” It makes no secret of its promotional nature. "Like Goods & Services itself, Sway explores all facets of brand communications, from positioning and strategy to design and advertising—but stays well out of dry-textbook territory," the company says in a release. "The goal will be to help empower readers with a combination of thought-starters, industry information and practical tips to make the connection between better branding and stronger business results." "[This journal is] the embodiment of our love for what we do: a constant quest to raise the bar of our industry, to apply serious research and thought to a field that‘s viewed by many as mere decoration. It‘s also the embodiment of our contrarian attitude: when most periodicals are struggling to survive or, worse, turning out the lights for the last time, has there ever been a worse (or better) time to launch a new journal?" A print copy of the inaugural issue of the magazine is available for $10 plus tax. A digital copy is soon to be available through the App Store. TC Media has entered into a partnership to be the exclusive reseller of StrongView, a platform that can be used by digital clients such as Sunwing Vacations and The Blue Hive (Ford Motor company agency) in their "contextual messaging" campaigns. TC Media sends more than 2 billion personalized emails and 100 million SMS messages a year on behalf of Canadian retailers and advertisers. StrongView is based in Redwood City, California. TC Media which, until recently, was one of Canada's largest consumer magazine publishers, is based in Montreal. -- From Catherine Taibi's article on Huff Post: "How The Magazine Cover Is Surviving -- And Thriving -- In The Digital Revolution"
[This post has been updated] A lot of Canadian magazine people find themselves bereft with news of the death of Jocelyn Laurence at the age of 63. She was well-known as a magazine writer and editor -- for instance as a senior editor of Toronto Life and editor of Canadian Art magazine. She wrote a column about relationships in Toronto Life from 1985 to 1989 which many people admired. Laurence had earned a great deal of respect from freelancers who'd had the good fortune to work for and with her. She was the daughter, notably, of the novelist Margaret Laurence. [Update There will be a party on August 28 to celebrate Laurence's life, on what would have been her 63rd birthday.] To receive details, write joceylynlaurencememorial[at]gmail[dot]com. Do publishers need to bridge the pricing gap for digital content? Is the publishing industry undervaluing its digital content? The accounting and consulting firm PwC says that there is a £4.8bn gap between what UK consumers pay for digital reading products and the value they place on them (or might be prepared to pay if pushed.) This, according to an opinion piece by marketer Jim Bilton of Wessenden Marketing, published by international media association FIPP. "The familiar options for magazine publishers involve what one media buyer described as “trying to change the tyres while they’re doing 100mph”. They include the simple question of whether or not to use print as a content marketing ancillary for what becomes primarily a digital business. New York shows that – for some distinctive, high-value magazines which can keep their nerve – there really is the option of developing first-class digital media while also reinventing and reinforcing print." Douglas Knight, the president of St. Joseph Media and publisher of Toronto Life and Fashion magazines has been elected chair of Magazines Canada for the next two years. He succeeds Michael Fox, publisher and CEO of Garden Making. Magazines Canada has unveiled an online marketing guide for magazine media brands. Online Marketing Guide for Canadian Magazine Media Brands is available as a member-exclusive resource, concentrating on practicable digital marketing strategies, including search and email marketing, growing and mining subscriber lists and trends in digital marketing. Contributors to the guide are digital strategy consultant Lisa Murphy, Cornerstone Group of Companies' Don Lange, Consumer Intelligence Group's Kevin Klein. Case studies are shared by Canadian and international magazines including Geist, Real Style, Inside Out (Australia), Magazines Canada, C magazine, Today's Parent, Shout (UK) and Vemma YPR (Germany). "Our goal was to drive awareness and readership for our Winter 2014/15 digital magazine and to stimulate newsstand sales at Chapters Indigo by using celebrity influencers to promote links to our magazine, which were also retweeted by their numerous followers. We offered the magazine free of charge for the first 48 hours. After the initial major surge of online traffic, we instituted a pay wall and directed the readers to visit their local Chapters Indigo to pick up a print copy. Appointed just nine months ago as editor-in-chief of the online magazine The Tyee, which she described as having "the best newsroom in British Columbia", Jane Armstrong was fired May 28 and is now suing the publication's owner, Countercurrent Media Ltd., for wrongful dismissal. She has been replaced by longtime managing editor Robyn Smith. In a notice of civil claim filed in B.C. Supreme Court, Armstrong says the special circumstances which are of import in determining damages include the fact she is 55 years old and was induced to come to Vancouver for a specialized position. She also alleges there was “bad faith” in terminating her without a positive, or any, letter of recommendation and in her being replaced by a “much younger” employee. In announcing the changes in editorial leadership last Friday (June 5), The Tyee expressed gratitude for Armstrong's professionalism. "Jane's vast reporting experience, professional integrity, and passion for journalistic excellence were much appreciated by everyone at The Tyee," said Tyee co-founder Michelle Hoar. Magazine publishers have pretty consistently been wary of, or disappointed by, the Apple Newsstand. It was created -- and sold to the industry -- as a place where readers could search out and purchase digital versions of their favourite titles. Or, their favourite digital titles. Sometimes the Newsstand worked and sold some subs, but more often publishers complained that, lost in the jungle of thousands of apps out there, readers couldn't find their titles either through deliberate search or serendipitously. Well now that's no longer an issue since Apple is quietly killing the Newsstand and replacing it this fall with a content aggregating app called Apple News, a sort of Flipboard clone. It was so indifferent to its Newsstand and thought so little of its participants that it didn't even bother to mention its demise. A column in Publishing Executive by Ron Matejko says that Apple's decision.amounts to a mercy killing. "The end of Newsstand amounts to the mama bird kicking its baby off the tree branch to see if it can fly on its own, as digital magazines will now join the general public in the iTunes App Store. "Discoverability was a major issue for publications in a world of a few thousand apps. Swimming in the same pool as hundreds of thousands of other choices in the App Store will push all but the top titles further into needle-in-the-haystack territory." "I'd like to know how Apple News's ad-supported model will pay off vs. the paid circulation (read: high engagement) model we've built with our digital magazine editions. Likely they'll run as complementary products with complementary sources of revenue, but [if] Apple News is the only place anyone is looking, that could force us away from reader-paid content altogether." A story in Nieman Lab says Apple Newsstand was launched with promise but quickly turned into a ghetto where news apps went to die. 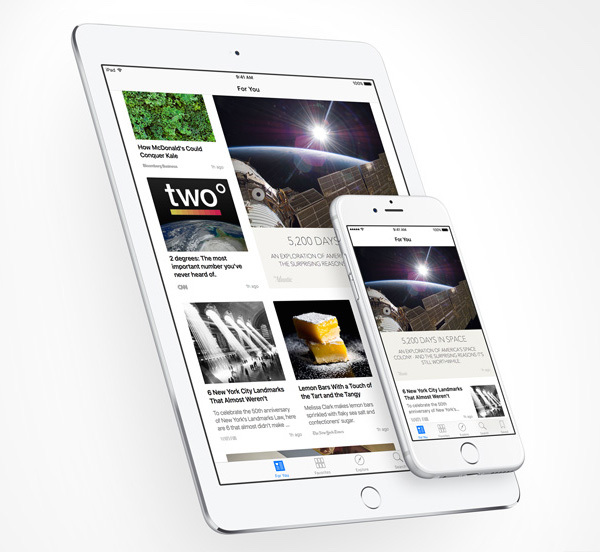 "There’s no guarantee Apple News will be a big hit; Google Currents, probably the closest analog up to now, was a flop. But the broader narrative is clear: Individual news apps and individual news brands aren’t the primary point of contact with news any more. They’re raw material, feeding into broader platforms. The loss of power for publishers in that exchange is obvious; the potential benefits remain mostly undiscovered." Here are last week's winners of the CMC Awards for circulation and audience development, presented by the Circulation Management Association of Canada. The 2015 Lifetime Achievement Award went to Sarah Watt, Abacus Circulation. The award honours an individual in the Canadian publishing industry for a body of work that represents an extraordinary legacy of achievement in magazine marketing. Recognizing outstanding work in a circulation campaign. This award recognizes the outstanding contribution of an individual working with a vendor in support of the Canadian publishing industry – a remarkable person who helps magazine circulation experts excel at what they do. A $5,000 bursary to go towards professional development. Maisonneuve magazine distinguished itself by winning a gold for essays, 2 silvers and the awards for best new illustrator and best new magazine writer. Winning 1 silver award were: Arc, Canadian Business, ELLE Canada, enRoute, Flare, MoneySense, NOW Magazine, PRISM International, Swerve, Sub-Terrain. New this year, the gold award for best magazine brand went to Cottage Life magazine, for demonstrating innovation in delivering on its mandate on at least three platforms. This year more than 200 magazine submitted work by more than 3,000 writers, editors, photographers, illustrators and other contributors. 326 were nominated and awards were made in 43 written, visual and integrated categories, with more than $53,000 in cash prizes awarded. Complete list of winners in all categories. Today's Parent magazine was the big winner in the Editors' Choice awards of the Canadian Society of Magazine Editors (CSME), presented on Wednesday evening in Toronto. Sasha Emmons, the editor-in-chief of the magazine was named editor of the year. Today's Parent was designated best large magazine of the year (150,000 circ and over) as well as for having the best web editorial of the year and best art integration. "Over the past 18 months, Today's Parent seems to have reinvented and reinvigorated itself. It is taking risks and taking a stand, while offering readers a sound and thoughtful resource for the chaos and joy that is parenting. As a service magazine that covers food, behaviour and parental tribulation of all strikes, Today's Parent is comprehensive; its style and voice are engating (great ideas, but not preachy). For more information, go to the CSME website. 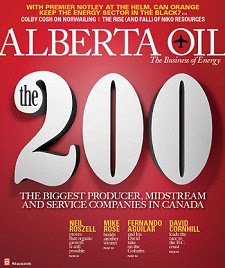 In the face of slumping oil prices and astounding political change in the oil patch, Alberta Oil magazine, published by Venture Publishing, decided to up the ante by expanding its annual review from 150 to 200 companies reflecting the entire sector. The list was unveiled today at a luncheon in Calgary. The list is of the biggest producers, midstream and service companies by revenue. The companies on this year’s list had combined revenues of just more than $332 billion and saw an average growth rate of 11.8 per cent and an increase of assets by 10.7 per cent. "This year's expanded list really showcases the depth and breadth of Canada's energy sector," says Max Fawcett, editor of Alberta Oil. "And our four top companies demonstrate that even in a challenging commodity environment it's possible to grow, expand and make money." The magazine has created a comprehensive online package with a searchable database to complement the printed issue. The editor of BCBusiness magazine, Matt O'Grady, last week spoke with the president and CEO of Yellow Pages about the company's recent acquisition of Vancouver magazine and Western Living. Here is an excerpt of Julien Billot's comments about why the titles were purchased and his expectations of what happens now. Yellow Pages has been rather rapidly getting out of the print business—or repositioning itself as a digital-first company. Why did you decide to purchase Vancouver and Western Living magazines? The thinking was: more content. That’s the play. What you have to understand is that we have Caroline Andrews* on our team, formerly of TC Media—and she knew these publications very well. The big play here is not about print; it’s about content. Take a look at my phone. Today, we had approval from Apple to launch our new app called YP Dine. All the content from Vancouver magazine and Western Living will help us to feed into this local app. And that’s really the play. We can feed a lot of content into our media platforms. But to generate that content, you don’t really need to have a print product anymore, do you? What is the future of print within the Yellow Pages family? Let’s forget about print and think about the different usages you can have. You have two types of usages from a digital media perspective. You have search, and you have discovery or serendipity. Print, for me, is more about serendipity. Our major apps are mainly about search. The two parts are very important because if I’m looking for something very precisely, I’m using the search. If I don’t know exactly what to search, and I want to know what’s in the neighbourhood, that’s a different kind of media. Longer term, we really see our evolution in these two types of media: search media and serendipity or more “flipping” type of media. Today it’s on print but tomorrow it could be a very different format—ebooks or emagazines. Some people still prefer a paper book or magazine, but for sure we want to give these magazines more digital opportunities. We are not coming in to shut down print. Any plans to buy other city or regional magazines? No. It was a content play and a good tactical opportunity, but we don’t have a plan to buy other magazines. The Canada Council for the Arts today unveiled more of the framework of its new funding model, which will be rolled out in 2017. Details of such things as the application process will be released this fall. It is, if anything, more dramatically restructured than had been suggested, reducing the current 147 to just 6 national, non-disciplinary programs, at least some of which will bear directly on literary and cultural magazines which have traditionally relied upon operating and project funding from the writing and publishing section of the council. Engage and sustain: “ supporting arts organizations in the production and presentation of ongoing, sustainable, high-quality artistic activities that engage the diversity of citizens within their communities and beyond. Creating, Knowing and Sharing Aboriginal Arts: “ supports Aboriginal artistic and cultural expression and the vitality of Indigenous artists, artistic practices and communities." Renewing Artistic Practice: “supports innovation, collaboration, sustainability and adaptability in Canada’s professional arts sector." Arts Across Canada: “ encourages the dissemination of excellent Canadian art across the country for the benefit of as many Canadians as possible." Arts Abroad: “ supports the presentation and circulation of Canadian art and artists abroad." More analysis and, doubtless, criticism will be heard in the days to come as the various interest groups and arts sectors weigh in, particularly when application details become known. "The grid brings interesting rhythm to the magazine, thanks to the bilingual content and the diversity of the visual features. Thoughtful and astute editorial choices are reflected in the illustrations, typography and the conceptual photography. The magazine is well-organized, young, diversified, current and bold, and features a harmonious balance of visual elements and editorial content." "This magazine knows that its readers are not only grocers, but also people. The publication features a nice mix of short and long reads, profiles and big-picture features presented in engaging layouts with loads of entry points"
Leading all magazines in the awards with 6 plus 14 honourable mentions, was CPA Magazine, which won gold for best issue, best merchandising or marketing article and best profile of a person. Professionally Speaking had 3 gold and 2 silver awards and 5 honourable mentions, University Affairs, with 3 gold and 1 silver award and 6 honourable mentions and Precedent magazine, 3 awards, all gold, and 1 honourable mention. The gold award for best issue went to CPA Magazine, The Money Issue (May 2014), and University Affairs won silver for their Right to be Safe Issue (November 2014). In the category of best cover, the gold medal was awarded to Foodservice and Hospitality (TheFood Issue) and the silver medal to Professionally Speaking (On the Road to Great Nutrition). Receiving other silver awards were Lexpert, The Medical Post, Le Médecin du Québec, UTSC Commons, Transport Routier, OHS Canada and Building magazine. Among individual award winners there was a tie for gold for best profile of a person, awarded to John Lorinc in CPA magazine and Valérie Lesage for her profile in Les Affaires. There was another tie, this time for silver, in best feature article -- trade, won by both Carmelle Wolfson, OHS Canada and Leah Lawrence in Oilweek. Rogers Media Publishing has decided to include the names of advertisers on the covers and in the table of contents of its magazines, areas which have traditionally been off-limits. According to a story in the June 1 Marketing magazine (a Rogers title), Unilever Canada and Lexus/Toyota will be partnering with Maclean's, L’actualité, Sportsnet Magazine and Canadian Business as a part of an editorial series still in development. Unilever is already partnering with Chatelaine on a program promoting a "real food movement" for Hellmann's mayonnaise which will appear in the magazine's July issue. Christopher Loudon, the director of content solutions, said that advertisers' cover presence would be restricted to text attached to a headline; there are no plans to incorporate advertiser-related images. He said that the "rules of engagement" were determined recently during meetings with publishers and editors across the magazine group. “Given the rapidly changing media landscape, and [the] impact it’s had on the advertising business model, I would have grave misgivings about sitting back and doing nothing as print readership continues to decline and print ad budgets wither. The Canadian Society of Magazine Editors (CSME) will unveil the winners of its editors' choice awards on Wednesday, June 3 at the Pilot in Yorkville, Toronto. In addition to category winners, there will also be awards for Best Front of Book, the Jim Cormier Award for Best Display Writing and Best Art Integration. As well as CSME’s highest honour, the Editor of the Year Award. Type Books, the boutique store on Queen Street West in Toronto, has been named Magazines Canada Retailer of the Year for 2014. The award is made annually to recognize the importance of good, often independent, stores in building and maintaining the magazine landscape. "A neighbourhood bookstore on bustling Queen West across from Trinity Bellwoods Park, Type opened heroically in April, 2006, at a time when few other bookstores were starting up," says Magazines Canada. "The store has been devoted to magazines from a wide array of distributors and publishers direct, and has been committed to Canadian magazines from the beginning." The store has the distinction of being the location for the 2014 filming of the promotional video Anything Can Happen at a Magazine Stand. Because of the considerable overlap and complementarity between magazine freelancers and book writers, research on pay and work experience is always of interest. So with this week's release of a study by The Writers Union of Canada about the incomes of Canadian writers Devaluing Creators, Endangering Creativity. It contains the lamentable news that many writers are working harder to make less than they were in 1998 when TWUC last asked the question(s). 81% of respondents have writing income that falls below the poverty line. TWUC says it considers this situation a "cultural emergency". The study shows that respondents earn 27% less (taking inflation into account) from their writing that they were making in 1998 and that the average writer's income is $12,879 , about $36,000 below the national average. 45% of respondents said they were working harder to earn the lower amount. Even more dismaying, there is a significant gender gap, with women representing a majority in the industry but earning 55% of what male writers do.